Previously, if you were in a Skype conversation and wanted to send money to the other person, you'd have to switch to your browser or PayPal app to initiate payment. 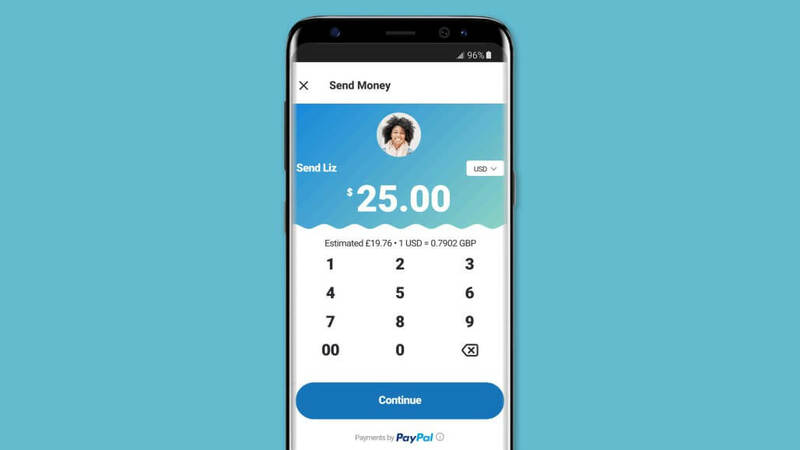 Today, PayPal and Skype have teamed up to enable users to send money directly from the Skype mobile app using PayPal. When you first use the Send Money feature, you'll have to confirm your location since it only works in certain countries. Afterwards, you have to link your PayPal and Skype accounts together. Finally, PayPal handles the actual transaction between your account and the recipient. To be sure, the Send Money feature is only meant to be used between family and friends, not as a means of paying for goods and services. Also, sending is free when you use your PayPal balance or debit card. Using your own credit card incurs a fee of 3.4 percent of the transaction amount plus $0.30. As an added perk, currency exchange is also supported for transactions to users in other supported countries. For example, if you were located in the United States but wanted to send someone money in Germany, you will be given the option to send money in Euros. The full list of supported countries includes: the U.S., the U.K., Austria, Belgium, Canada, Cyprus, Estonia, Finland, France, Germany, Greece, Ireland, Italy, Latvia, Luxembourg, Malta, Netherlands, Portugal, San Marino, Slovakia, Slovenia and Spain. Ironically, this isn't the first time Skype has partnered with PayPal in its app. Back in 2007, Skype unveiled the feature on its desktop app that allowed users to send each other money using PayPal. However, this is the first time that this feature has been brought over to the mobile application. This partnership between Skype and PayPal attempts to stave off competition from Venmo, Square, and even Apple. During its Worldwide Developer Conference in June, Apple announced that iOS 11 would support peer-to-peer payments using Apple Pay inside iMessage itself. The money would be transferred to an “Apple Pay Cash Card,” which can then be sent to your bank account. If you're interested in trying out the the Send Money feature, it's rolling out now to Skype users on Android and iOS.